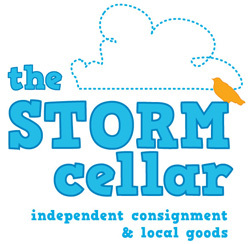 The Storm Cellar: Independent Consignment and Local Goodsis a clothing and craft consignment store in downtown Moscow. We sell gently used name-brand & vintage secondhand clothing, small household items, and a wide variety of locally made goods. How does it work? Bring in your unwanted items or new handmade goods, and if it fits, we'll take it on consignment. When it sells, you get a check for a percentage of the purchase price. Green: for recycling unwanted items. Local: support local artists and craftspeoples.